GREAT TRACK TIME!..... BMW CCA Club Race!..... Car Show!.... Karting!.... Ross Bentley! The Bluegrass Bimmers, Hoosier and Buckeye Chapters of the BMW CCA would like you to join us for the 1st Regional Roundup! High Performance Driving Event at the National Corvette Museum Motorsport Park (NCM). We will be driving the "Grand Full Course" 23 turn, 3.2 mile configuration. There is also a BMW CCA Club Racing event this same weekend. If you are a racer you want to be at this page msreg.com/2017RoundUpClubRace to register. We can teach you how and where you can go faster at NCM. Students undergo a mixture of classroom and behind-the-wheel education under the supervision of trained instructors. The course of study includes vehicle dynamics, vehicle limits and limitations, driving line and track safety. Cars must undergo technical and safety inspections prior to coming to the event. Helmets are required (Snell 2010 or newer); a limited number of loaner helmets are available. There are many options for this event. The cost for typical weekend event is $495 for both Saturday and Sunday. There is a Friday option. There are single day options. Early registration is essential for this events success. There is no "early bird" discount. The price will increase to $525 30 days prior to the event on September 21st. Single day registration will be available for $275 each day. No NCM 1st timers will be allowed on Sunday without significant additional track experience. If you are wondering which group you would run in for the single day please contact Bill Wade. Spaces are limited! We are offering our popular 'A-Solo" run group again WITH A SUPERSIZE OPTION OF 4 HOURS PER DAY ON TRACK!!!! These selected advanced students will have the option of not having an Instructor in the car or attend any classroom. To qualify, the Event's Chief Instructor will review the students driving resume as noted on MotorsportReg. (Completeness of past driving history listed on your MSR account is essential). The review of the student's past High Performance Driving Schools events featuring in-car instruction will be considered. Review of the history over the last three-years, the numbers of days in the highest level groups, and how many of those signed off is significant. The Chapter has full discretion on acceptance of the candidate's credentials. A Track Orientation Day is scheduled for Friday, October 27th. It is available for all instructors and qualified students, by invitation, for an additional cost of $175 for instructors and $200 for students. Students interested in being considered for attending should check the appropriate box on the application form. We will contact you after evaluating your previous experience to inform you if you have been accepted. Completeness of past driving history listed on your MSR account is essential. The Chapter has full discretion on acceptance of the candidate's credentials. NEW FOR THIS EVENT! Interested in improving your advanced driving skills? Join us for Advanced Driving Clinic with Ross Bentley! This event is a great opportunity to take your driving skills to the next level with the leadership of professional driver coach and Speed Secrets author. This will be also be on Friday October 27th. We will alternate sessions between the classroom and track sessions. Please contact Chief Instructor Bill Wade (bill.wade@gmail.com) w/ your driving/instructing resume for evaluation. This is open to all advanced students and instructors. The fee is $245 for Students and $215 for Instructors. If the Instructor does not come on Friday the cost the driving sessions on Saturday and Sunday is $75. If you have not instructed with us before you will not be able to sign up as an Instructor until approved. Please contact Chief Instructor Bill Wade (bill.wade@gmail.com) w/ your driving/instructing resume for evaluation. Please be aware: all Instructor, "A- Solo" and "A" run group sessions will be run under the "relaxed passing" i.e. passing anywhere on the track, with the 'point by' rules. All other run group level will have set passing zones. ALL CARS MUST BE MUFFLED. THERE IS A STRICT 103DB AT 50 FEET SOUND LIMIT. NO EXCEPTIONS. CARS THAT DO NOT MEET THIS LIMIT WILL BE EXCLUDED FROM THE EVENT AND NO REFUNDS WILL BE GIVEN. This Driving Event is a non-timed, non-competitive school and it is not a race or practice for a race. You need to read and understand the coverage and exclusions of your specific auto insurance policy and be prepared to assume the risk of participating in this school. The organizing organization does not cover any insurance that would cover damages that may happen to your car or the facility. That is your responsibility. Please see Lockton Motorsports for on track insurance. They can be found at https://locktonmotorsports.com/product/hpde-insurance. School Location: The track is located in Bowling Green KY, directly off I-65 at exit 28. Check out their website at www.motorsportspark.org. NEW FOR THIS EVENT! We are having a car show! Don;t want to drive on the track, please come on to the event and put your car in the car show. Open to all marques this "Cars & Coffee"-style peoples choice award will take place on Saturday. Hang out, catch a ride with a Instructor and attend the Saturday night Banquet with our guest speaker Ross Bentley! NEW FOR THIS EVENT! We are having a banquet Saturday night! Join us Saturday Night at the National Corvette Museum for a sit down meal and entertaining speaker Ross Bentley. Ross is a performance coach, race car driver, and author. His performance coaching spans executive/business coaching to sports (athletes and teams in a variety of sports, with a specialty in motorsports). Born in Vancouver, British Columbia, he grew up in a racing household (father was a race mechanic, brother a mechanic and driver). He became one of only seven Canadian drivers to race in the CART Indy Car series in the 1990s; he continued his professional career in endurance racing. Bentley won the 1998 GT3 United States Road Racing Championship and the 2003 SRPII Class Rolex 24 Hours of Daytona. He formed Bentley Performance Systems, which focuses on improving the performance of individuals, teams and organizations through coaching, workshops and the development of custom-designed programs. In the sporting world, Bentley’s coaching specialty is in the mental game. In addition to coaching race car drivers from the amateur ranks up to Indy cars and NASCAR, he’s worked with athletes and teams from lacrosse to racquetball, and motorcycle racing to tennis. He founded Speed Secrets Driver Development Services in 2002, whose coaches work with race car drivers and motorcycle riders worldwide. He has recently helped develop the classroom curriculum for the Street Survival program. In 1998, Ross published the first in a series of racing technique and strategy books called Speed Secrets. To date, he has nine books published under the Speed Secrets banner, including Inner Speed Secrets with Ronn Langford, and The Complete Driver with Bruce Cleland. He also co-wrote with Bob Bondurant on Race Kart Driving. In June he released "The Lost Art of High Performance Driving: How to Get the Most Out of Your Modern Performance Car" He will share stories from his racing and coaching days who knows what else! NEW FOR THIS EVENT! We are challenging you off the track as well. The track has recently added a fixed go-kart facility! They are helping us with facilitating a "Chapter Challenge". Buy a session of 8 minutes and post your best time along with your BMW CCA Chapters name. Fastest time will win! 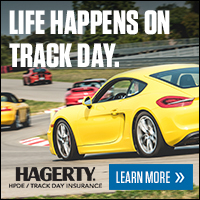 You do not have to be registered in the HPDE or the Club Race to participate. Times will be recorded until 1:00 Sunday. Camping is available for the weekend. RV parking is available. $35 for 'dry' camping. $50 with electrical service. Space is limited to 10 electrical spots. Contact Justin@motorsportspark.org to reserve a spot. Garages are available Contact Justin@motorsportspark.org to reserve one. GROUP RATE HOTEL: We have been unable to secured a group rate at any hotels. We will continue to try and will notify all registrants if we are successful.